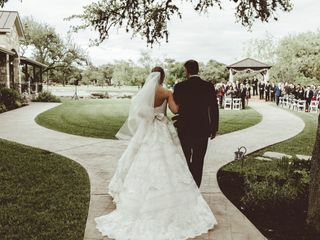 The Club at Garden Ridge is an elegant wedding event venue located six miles northeast of San Antonio in Garden Ridge, Texas. 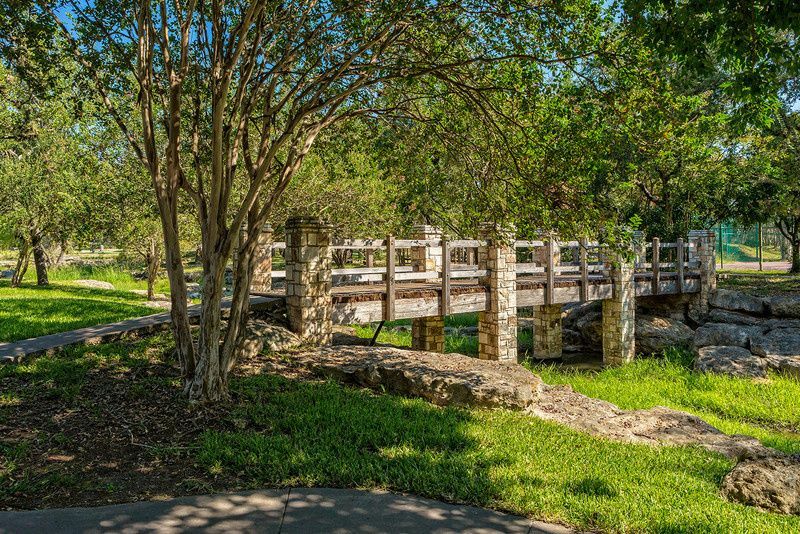 Couples will be surrounded by beautiful grounds featuring two lakes, hundreds of oak trees and a creek bed with a stone bridge. 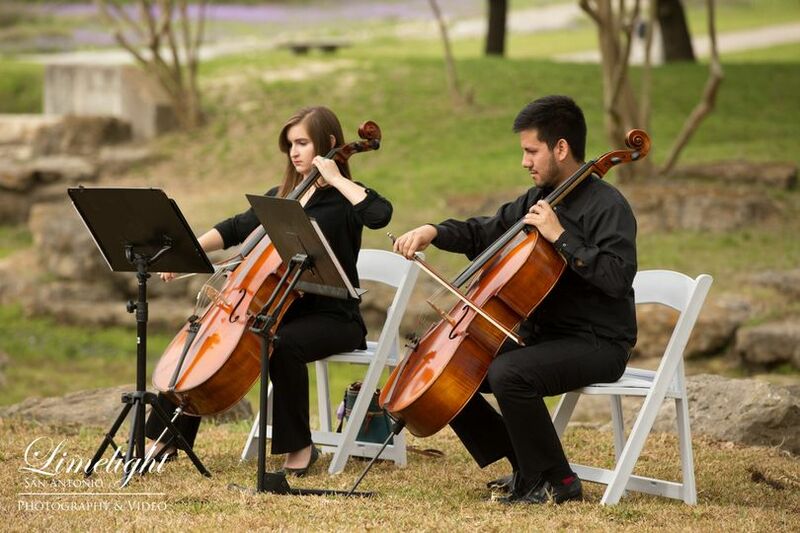 This venue boasts over 7,000 square feet of event space, including a grand ballroom and a ceremony pavilion. 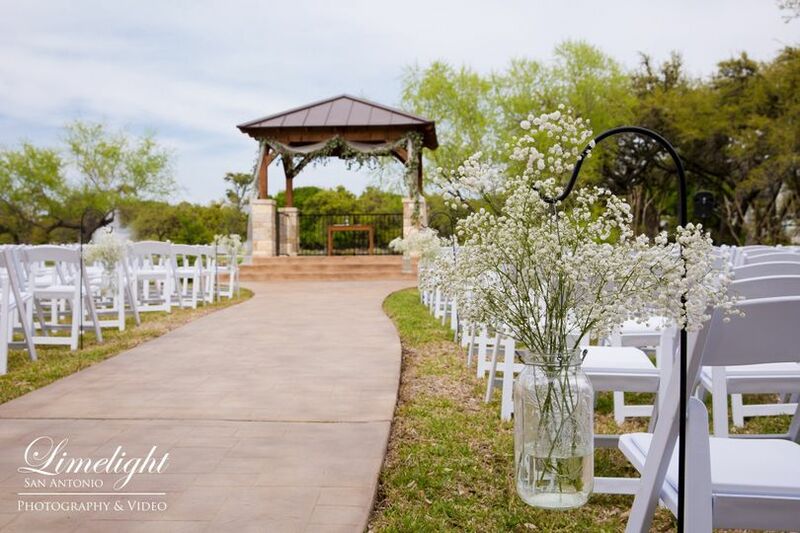 The Club at Garden Ridge can accommodate both indoor and outdoor weddings in their park-like setting. 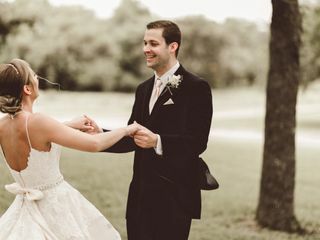 Couples can accommodate up to 300 guests at this waterfront venue. Their new ballroom features wood floors, open tongue and groove ceilings, stone columns and a wrap-around porch. It also features an 18-foot, built-in stone and granite bar, along with additional seating on their porch and grounds. 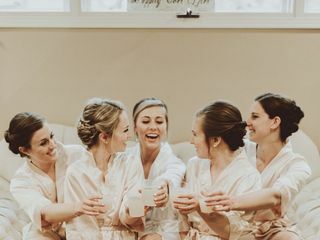 If you're having a more intimate wedding, The Clubhouse is perfect. 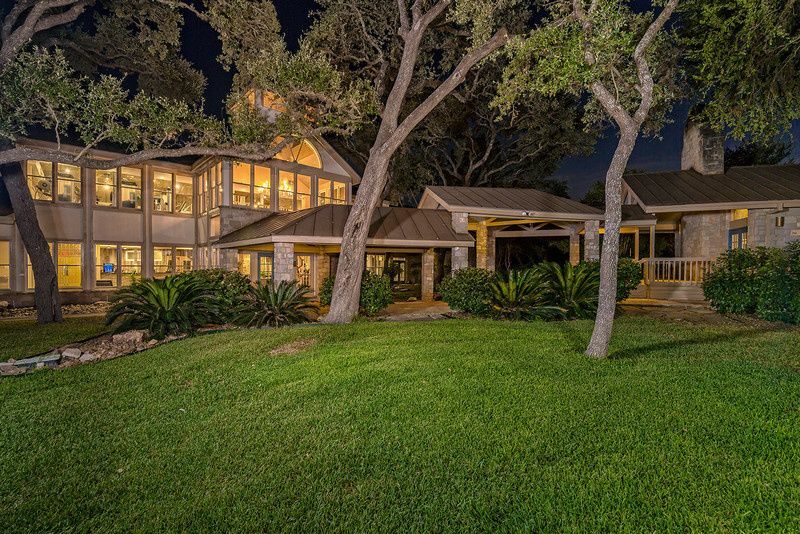 It contains a rock fireplace, cathedral ceilings and huge windows. Their French doors lead to a wrap-around deck. 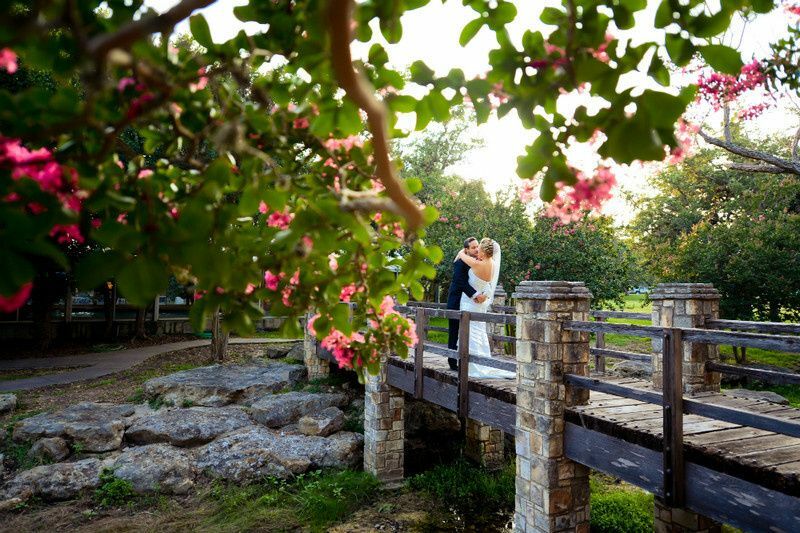 Their outdoor Ceremony Pavilion overlooks their gorgeous lakes and water fountain. My wife and I searched for our dream venue and made trips to several locations before we came across Club at Garden Ridge online. We looked at all the pictures of the venue and were at a loss of words as to how perfect it looked for us. 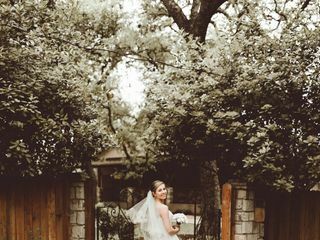 I reached out to Kristi, Venue Manager, to set up time to see the venue and she was so nice and adaptable to our schedule for us to go see. 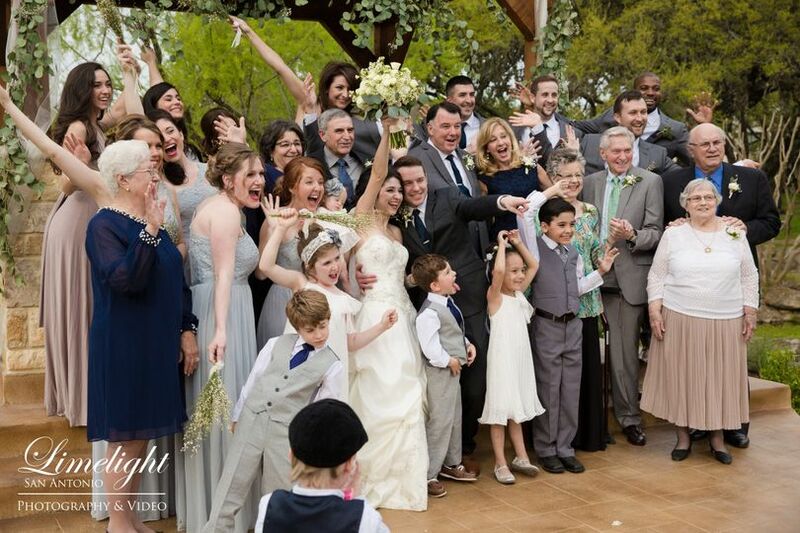 Upon our arrival, we immediately noticed a difference from other venue coordinators to Kristi. She took the time to get to know us and our story. By the end of our introduction, we felt the connection with her. We then walked around the venue and was at a loss of words as to how beautiful the venue is and how emotional we got just walking around. 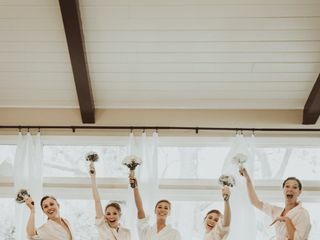 We loved everything we saw from the outdoor ceremony with the water fountain in the background, to the men’s cave, to the bridal suite, and to the ballroom. It was a very emotional moment as we decided during our visit to choose Club at Garden Ridge as our dream venue to get married at. Kristi and her team made us feel so welcome and they were so patient with us and helped whenever and wherever needed. 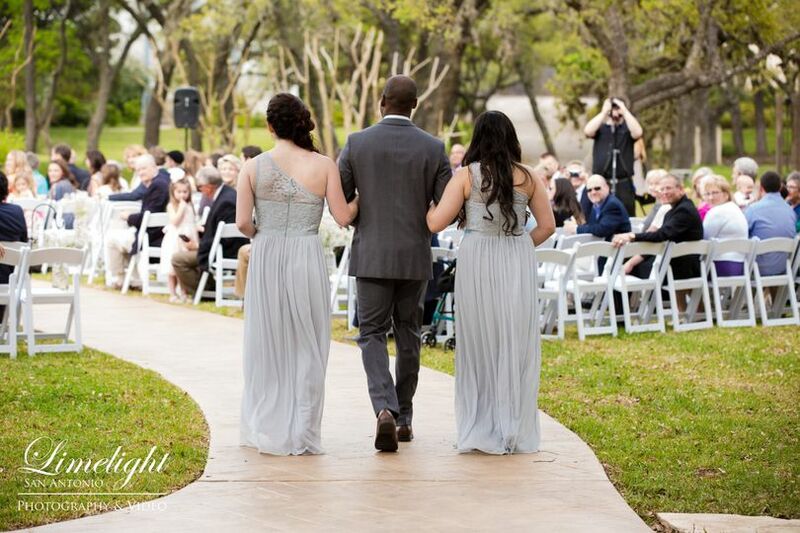 All our guests told us how much they loved the venue and how beautiful it is. 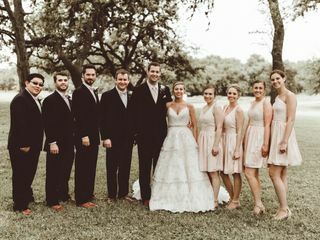 The experience we had at Club at Garden Ridge surpassed all our expectations and are forever grateful for Kristi and Club at Garden Ridge for being there for us through the entire process. The Club at Garden Ridge is an absolutely beautiful place to hold a wedding. My wife & I took our daughter out to look at venues, this was the first and the last place we looked! We met with Kristi who made us feel right at home, she gave us the tour of the grounds - which are beautiful, and then she listened to what we wanted and showed us how they could make everything work. Kristi was our main contact; however both her and Katie were on site from start to finish the day of the wedding to ensure a smooth day. What a great experience and a great venue, loved it! 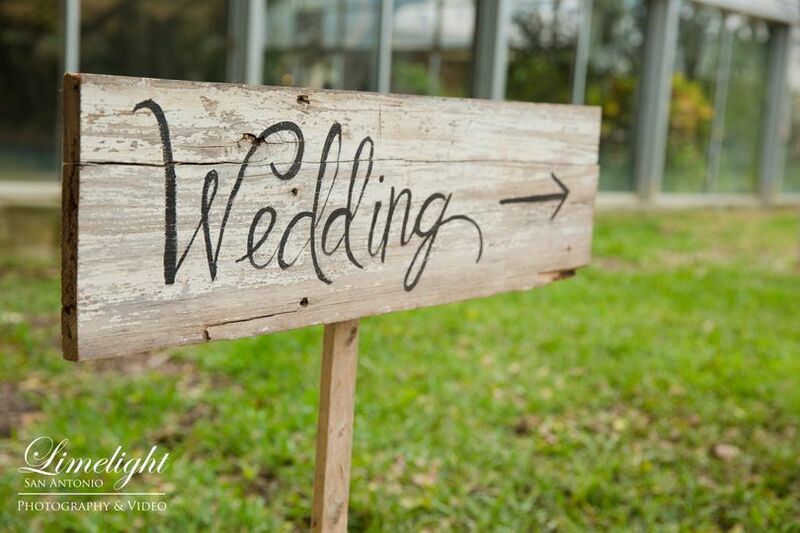 Beautiful venue to have your wedding and so much more! 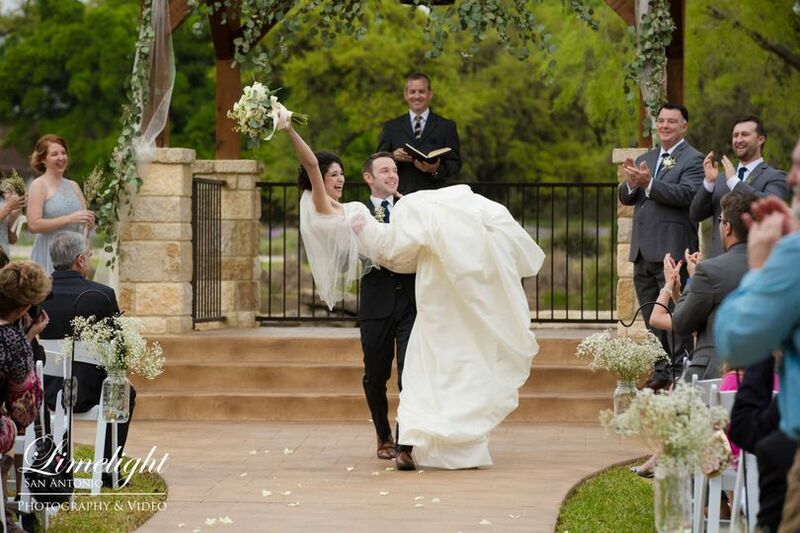 My wedding was so beautiful, thank you so much Kristi for all your help! 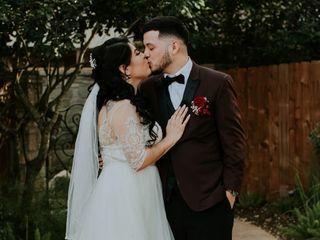 My wedding was magical and everything I dreamed of!